Last week we invited 38 businesses, organisations and charities to use our Share Driving Licence service as a private beta. Share Driving Licence will provide a free digital alternative to the driving licence counterpart when it is abolished on June 8. 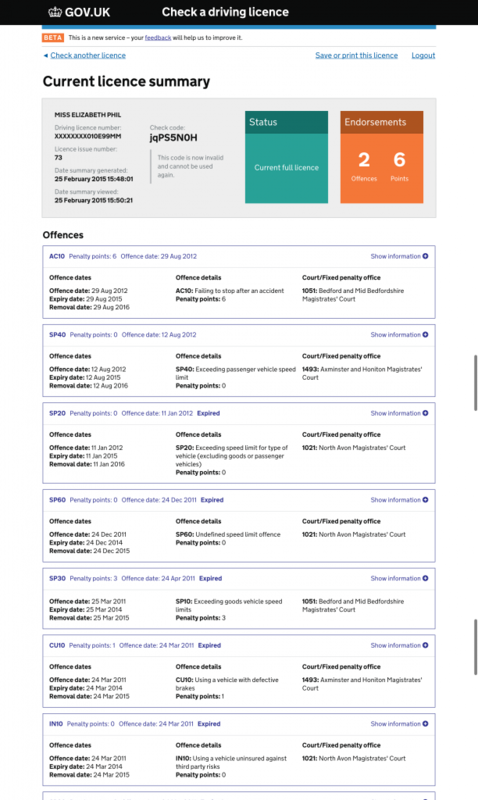 It puts the driving licence holder in control of sharing their information, such as penalty points and driving entitlements by generating a ‘check code’ that can be redeemed by the third party. Our video provides an overview of how it will work. The purpose of private beta is to put the service in the hands of real users and ask them to provide feedback on what works, doesn’t work and how it can be improved. We have already done a considerable amount of user insight before getting to this stage with earlier prototypes, but that insight was based on hypothetical situations with users, the private beta can be used in actual situations with live data. The feedback we receive will be invaluable as we look to refine and improve Share Driving Licence before it’s released for everyone to use as a public beta . Running alongside the online beta service our Contact Centre will also provide assisted digital support for drivers who are unable to generate a checking code themselves. We expect the private beta to run until we are in a position to open it as Public beta. This will be as soon as possible after the general election period. 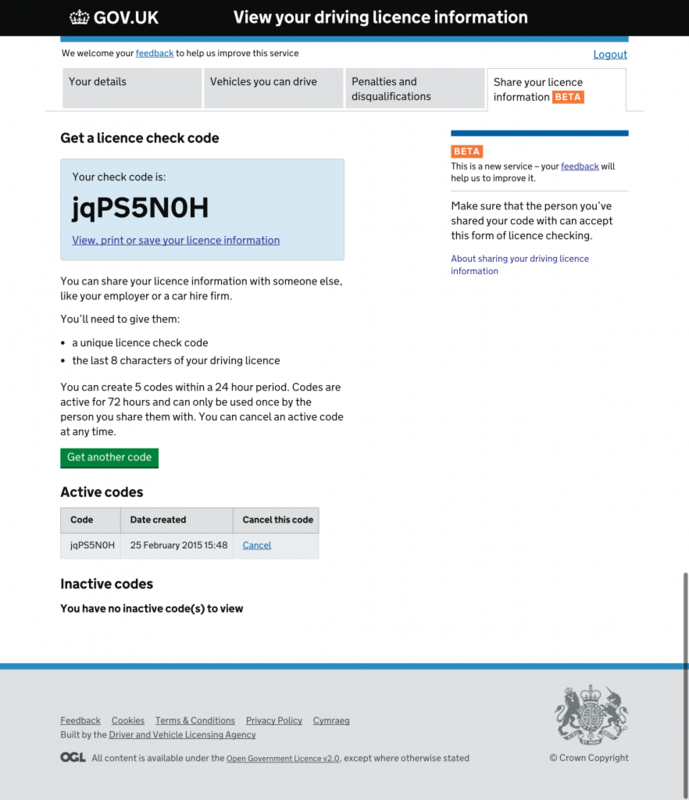 If you intend to use Share Driving Licence to check driving licence information, and would like more information and communication materials to inform customers and colleagues please visit our free communications toolkit page.